Welcome to Muscles Unlimited Professional Personal Training Services at the Strength and Health Gym in Downtown Bakersfield. 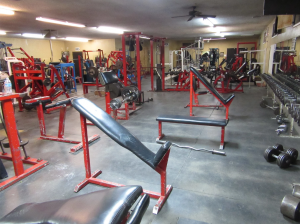 Strength and Health Gym Bakersfield, is a mecca and historical landmark since 1982. This city landmark is an old school gym in Bakersfield. It is the home of the very best professional personal training services in Bakersfield. Whether your goals are weight training, or simply losing some weight, we are proud to offer custom personal training services in Bakersfield. Our services are tailored to meet your weight training needs. Call us if you are interested in getting professional personal training services to help you achieve you weight training goals. Give Muscles Unlimited at Strength and Health Gym in Bakersfield a call today! Our phone number is 661.327.2582. Muscles Unlimited in Bakersfield is your one stop to the success. There are a number of gyms out there. Some of the big names you may already know, offer personal training services from 20-year-old kids who completed a 3-week program. These facilities charge inflated prices for very little actual training time. They take on a large number of clients and rush them through a workout to make room for the next one. In contrast, we aren’t that service. As a result, due to high prices and programs that do not produce results, people end up quitting and never realizing their fitness goals. Get the best, we offer professional personal training services in Bakersfield. Our training is based on and entire career of education in the arts of weight training and personal bodybuilding. We aren’t the preppy trendy gym. We are the old school gym built and based on core values and beliefs that guarantee success. At Muscles Unlimited, we guarantee success, because we provide discipline and dedication to your success. Above all, our personal training services are for those that actually want to see differences in their lives. Not just talk about them. 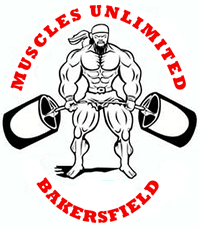 Call Muscles Unlimited at Strength and Health Gym in Bakersfield for more information. Our services are the best in Bakersfield. Our number is 661.327.2582. Give us a call today! Stop by our Gym in Bakersfield, Strength and Health Gym located on 318 21st Street. Start making an actual difference in your life today. We offer results based on actual hard work and dedication. Consequently, there are no shortcuts to success. Because of this, nothing in life is free. Most of all, hard work provides hard results. Check us out for at our gym in Bakersfield today. If you have the dedication, we will help you achieve your goals.